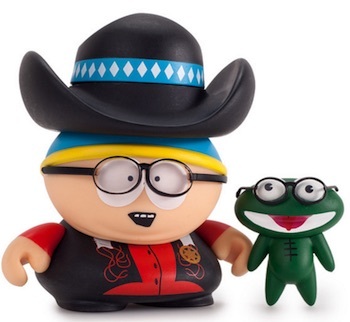 After a break of several years, Kidrobot is back with more South Park figures. 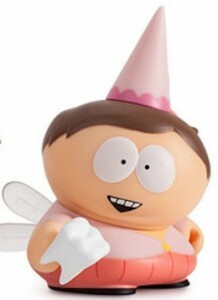 Centered solely on Eric Cartman, 2015 Kidrobot South Park Many Faces of Cartman features 14 options, each showcasing a different version of the chubby scamp. 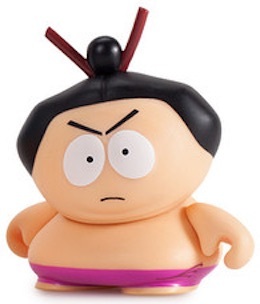 The set is issued in a blind-box format, so the actual figure in each box is a surprise. 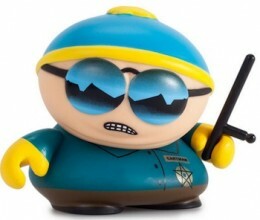 Chronicling some of the more memorable South Park moments for Cartman, collectors will likely have one or more favorites with notable options like Cop, A.W.E.S.O.M.-O and Whatever. 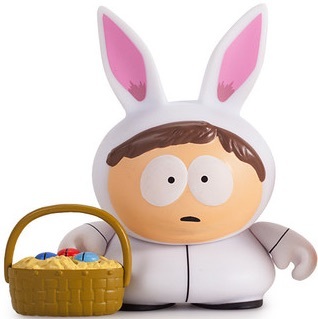 Similar to the previous Kidrobot South Park figures, the figures don't fall equally and some are much more rare than others. 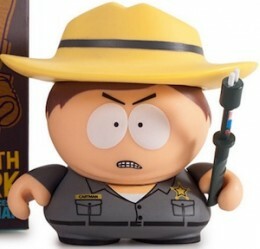 This includes the mystery figure that appears to be ginger Cartman. 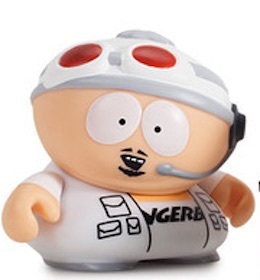 Specific odds are noted below. 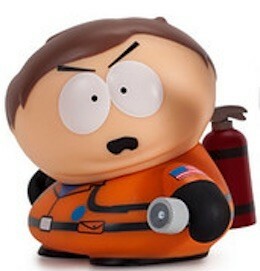 The figures retail for $11.99 per box. 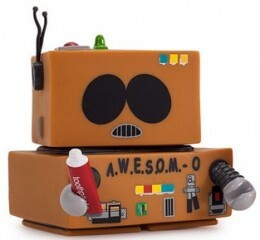 Additionally, a special 8" A.W.E.S.O.M.-O figure is also found. 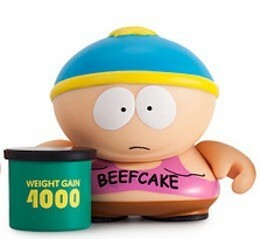 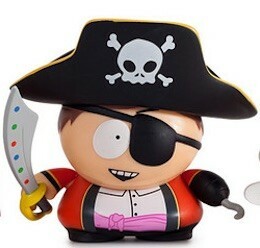 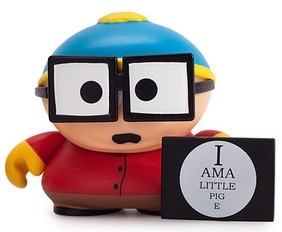 The larger figure features a removable box head to reveal Eric Cartman and goes for $60.